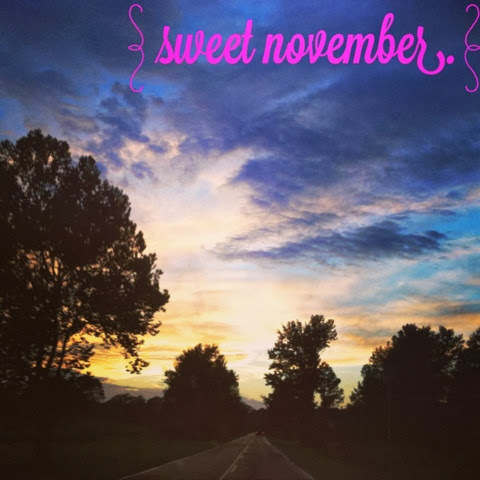 Sweet November is one of my favorite movies, so it seemed like a good title for what I hope this month is! Finishing the Nester's 31-day blogging link-up was GOOD for me. Sure, my posts were short. Some were almost pointless. BUT the entire reason I did it was to get on the habit of blogging daily! It doesn't always have to be a novel idea or a novel in length. Learning, y'all! Can we agree to rest this month? I know it can get busy, but December's business goes unmatched. It's so easy to feel guilty for resting. On Saturdays, when I sleep in, I always feel bad - like I should be doing ten other things. I'm still working on finding a balance. Here's hoping we have a great month. Let's be friends.